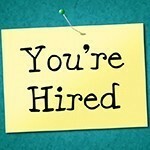 Spring UP Job Fair, March 15: Spread the Word! The UP Spring Job Fair will take place on Friday, March 15, from 11 a.m to 2 p.m., in the Chiles Center. Students will have an opportunity to talk to recruiters from over 125 organizations about summer jobs, internships, full-time opportunities, post-graduate service opportunities, as well as graduate/professional school. In addition, students will have an opportunity to have lunch with professionals to learn about a variety of career paths during Alumni Insights at the fair. The Career Center is hosting several How to Work a Job Fair workshops on Tuesday, March 12, 1 to 1:30 p.m.; Tuesday, March 12, 4 to 4:30 p.m.; Wednesday, March 13, 1:30 to 2 p.m.; Wednesday, March 13, 4 to 4:30 p.m.; and will offer extended drop-in hours for resume review on Wednesday, March 13, 10 a.m. to 4 p.m.; and Thursday, March 14, 10 a.m. to 4 p.m. The 2019 Society for Women in Engineering (SWE) STEM Career Fair will take place on Friday, February 22, from 1-4 p.m., in Bauccio Commons. More than 50 employers will be on campus to talk to students about summer jobs, internships, and full-time positions. The focus is for students and alumni with majors in engineering, computer science, chemistry, math, and physics. 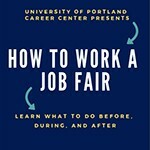 The Career Center is hosting “How to Work a Job Fair” workshops on Tuesday, February 19, 1 to 1:30 p.m.; Tuesday, February 19, 4 to 4:30 p.m.; Wednesday, February 20, 1:3o to 2 p.m.,; and Wednesday, February 20, 4 to 4:30 p.m. In addition, extended drop-in hours for resume reviews are offered on Wednesday, February 20, 10 a.m. to 4 p.m., and Thursday, February 21, 10 a.m. to 4 p.m.
For more information and to see a list of participating companies, use this link. 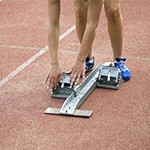 Career CrossFit, a three-part series on the job search including resume writing, interviewing, and making professional connections. Fridays from 3-4 p.m., beginning February 1 and ending February 15. Student registration deadline is Wednesday, January 30. Destination Declared, a four-part series hosted by the Career Center and Shepard Academic Resource Center to explore majors and careers. Thursdays from 4:15-5:15 p.m., starting February 7 and ending February 28, in the Career Center. Application deadline is Tuesday, February 5. IES Internship Abroad Information Session, Monday, January 28, noon to 1 p.m., Franz 227. Kaiser Permanente Internship Information Session, Tuesday, January 29, 4:15 to 5:15 p.m., Career Center. Providence Health & Services Internship Information Session, Thursday, January 31, 4:15 to 5:15 p.m., Career Center. Oregon Metro Internship Information Session, Wednesday, February 5, 4:15 to 5:15 p.m., Shiley Hall Room 206. Career Center events are posted in Handshake and Engage, as well as Calendar of Events. There have been some recent staff changes in the Career Center, according to Amy Cavanaugh, director. Julia Mayfield has joined the Career Center as the employer relations and alumni outreach manager. She has a background in development, event planning, fundraising, and stewardship. Most recently she was an event specialist at Providence Foundations of Oregon, and also worked as development manager at the ALS Association Oregon & SW Washington Chapter. Julia will contribute her skills in relationship building and community outreach to expand UP’s employer network with the goal of providing students and alumni with opportunities to connect for meaningful work. Audrey Fancher is now the Career Center’s internship and engagement coordinator. Most recently she served as program assistant in the Career Center, and prior to working at UP, Audrey supervised experiential learning programs for university students in five countries at Actuality Media and taught English as a second language to elementary and middle school students in South Korea. Audrey will contribute her passion to help university students engage in the world that they live in as she coordinates internships university wide. With Audrey’s transition, the Career Center is currently recruiting a new program assistant. For more information contact the Career Center at x7201 or career@up.edu. 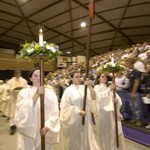 The Baccalaureate Mass will be celebrated on Saturday, May 5, at 5 p.m., in the Chiles Center. Graduates and faculty will assemble at 4 p.m. in the north corridors of the Chiles Center. The academic procession will begin promptly at 4:30 p.m. Academic regalia will be worn. According to campus ministry, this will be the only Mass celebrated on campus during commencement weekend; there are no Masses in the Chapel of Christ the Teacher on Sunday, May 6. For more information contact campus ministry at 7131 or mccreary@up.edu. Friday, January 19, at 4 p.m.
Friday, February 16, at 4 p.m.
Friday, March 16, at 4 p.m. Faculty and staff are encouraged to stop by the Career Center between 4 and 4:30 p.m. to get started in creating an account and learning more about how students can benefit from Handshake, an online tool which enables UP students and alumni to connect with employers, learn about career programs and events, and develop customized career plans. For more information contact Amy Cavanaugh, Career Center, at 7749 or cavanaug@up.edu. Tis the Season to Network: Learn How to Connect with Family, Friends and Alumni to Land a Job or Internship Over Break. This annual presentation is open to all class years and will share tips and advice on how to get the most from a trip home over winter break. December 5 at 4:15 p.m. in the Career Center. Senior Game Plan Meeting– This is a brand new appointment for seniors who want to check in about post grad plans. Schedule a 30 minute meeting to sketch out a game plan whether you’ve started thinking about what’s next or not. Schedule in Handshake or give the Career Center a call at x7201. Career CrossFit– Join us at the beginning of next semester for a 4 session mini series to jump start your job search. Only 20 spots are available and preference is given to seniors. RSVP required and spots available on a first come first served basis. Are you contacted by employers who want to post internship and job opportunities? The Career Center launched Handshake as the centralized internship and job posting system for University of Portland students and alumni, which democratizes access and provides students and alumni with an opportunity to connect with over 200,000 employers locally and nationally. The Career Center has become aware that organizations (i.e. Frog Tutoring, Environment America, Teach for America, etc.) are directly contacting faculty and staff and requesting that they forward opportunities via email to students. 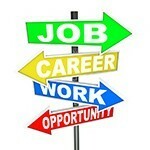 Please direct ALL internship and job opportunities to the Career Center rather than forwarding to students. Unfortunately there are many employment scams targeted at college students. The Career Center can screen these requests and then follow up with employers to get them posted. All requests should be emailed to the Career Center at career@up.edu. All students can access Handshake through single sign-on. Questions? Contact Amy Cavanaugh, Career Center, at cavanaug@up.edu.